Did you see all of that content we had up on the blog last week? Two interviews and our first guest post? That’s a lot to read! Sadly we didn’t have any time for games of the week. Here are some of our favorite games from last week (and ones that play excellently in the brand new itch.io app!). Fans of the blog should recognize the latest entry in the Zium series, the Zium Garden. The digital museum is back with even more of what made the original great. 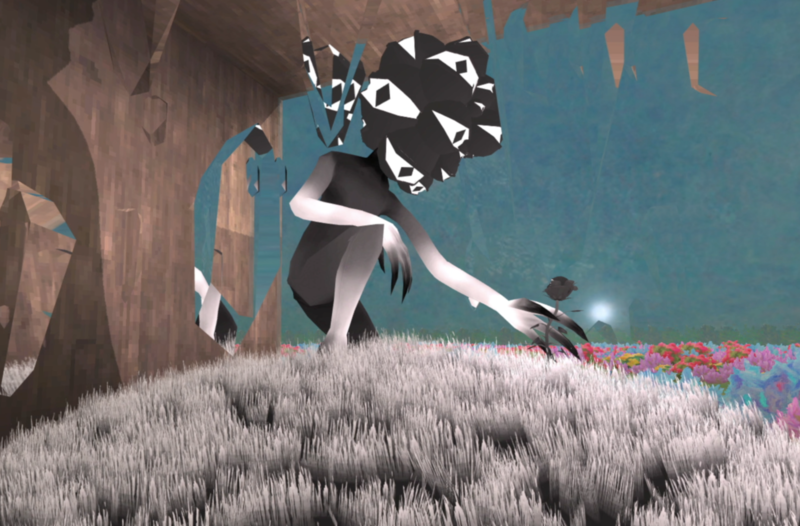 If you’re new to the series, the Zium Garden is not really a game per se but a collection of art that couldn’t exist in a physical location. Inside of the Zium’s walls are more traditional works like photography and digital sculpture but there are also works that are generated based on your machine’s ID and pieces you see by clipping through them. I’m a big fan of traditional museums so I immediately felt at home in the garden. Standing in front of art and fully committing yourself to appreciating it is a unique sort of joy that is hard to have in the confines of your house. Luckily, the Zium Garden brings tons of pieces to experience and half way through my time with the Zium Garden I thought I had nearly seen everything. As it turns out --just like in physical museums-- there is somehow way more pieces to discover than it seems at first. If the Zium concept interests you, then you should definitely take some time in the garden. In the interest of full disclosure: I helped the folks behind the Zium Garden during the dev process and am in the credits of the game. Regardless of how close I am to the project, I think it’s great but take this warning for whatever it’s worth. If you read the blog last week you may have seen our interview with the team at Aether Interactive about how they were able to ship 2 games in two months, Subserial Network is the second of this pair of releases. Now, all of the usual Aether hallmarks are here: the writing is great, the premise is unique, etc… but where Subserial Network really shines is just how completely the game adheres to its theme. So far each Aether game has had a unique UI that plugs into the game’s theme, but Subserial Network takes this idea to its extreme. Yes, Subserial is a digital desktop but it’s shockingly feature complete and the game itself asks you to play with the fact that you’re “using” a desktop. There are different clients to explore and multiple ways to dive into the net to take down “defective synthetics.” While on the surface this may all seem like window dressing, in practice it sets you into the mood of Subserial Network in a really smart way. I’ve been following Heartbeat for a while and I’m happy to announce that the full version of the game has finally launched. I’m happy to recommend this game but I should probably get something out of the way first. Heartbeat is really, really similar to Pokemon. You collect cute creatures, explore a big RPG world, and yes there’s creature-on-creature combat. Fans of Nintendo’s collectin’-and-battlin’ franchise will be right at home because --in honesty-- there isn’t a ton to Heartbeat outside of this familiar loop. But don’t take this as a negative, despite Heartbeat being very familiar it’s comfortable like your favorite sweater: sure you know what you’re getting but it’s also great to sit down with. What sets Heartbeat apart from the pack, though, is just how thoroughly it sets up its tone. Much like that sweater from before, Heartbeat has a singularly cozy tone. The character designs are cute, the world is pleasant, and that soundtrack is beautifully relaxed. If your life is stressing you out and you want to spend some time in a pleasant animal-grabbing world, you’re not gonna find a better game to play this week than Heartbeat. What are you playing this week? Let us know in the moments below.